It all started when the family contacted Sauve Heating and Air Conditioning Ltd. of Kemptville and Prescott for a quote on a new furnace. “We were trying to find a way to make our heating system more efficient,” said Wendy Schmidt, mother of four young boys. Wendy and her husband Chris had been looking at different options. When Don and Ben Sauve visited the house to get measurements for the new furnace, they saw the old system propped up by five feet of concrete blocks. This was the homeowners’ make-shift solution to address a bigger issue – the entire basement floods every year with up to four feet of water. “We knew they needed more than just a furnace,” said Sauve. And so it began with calls to their wholesalers – where they were able to secure a new propane furnace. And not just any furnace. 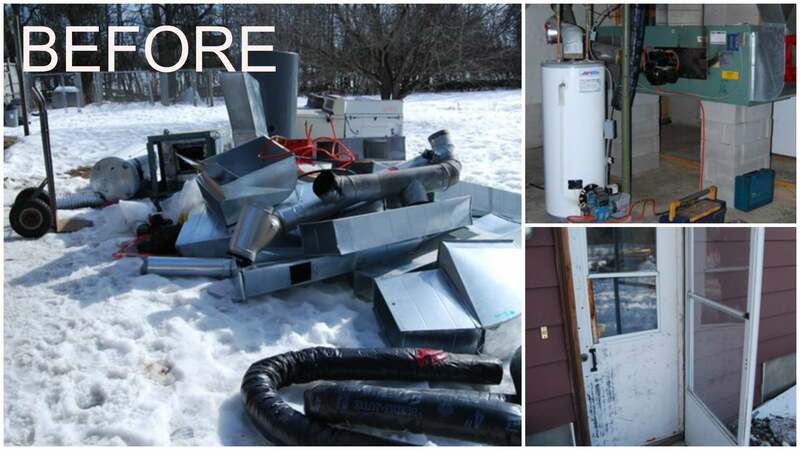 Richard Chartrand of Groupe Master, was able to donate the most efficient furnace on the market. Groupe Master also generously answered the call when asked if they could help out with a new water heater. “Whatever you need, whenever you need it,” promised Chartrand. From there, Don and Ben approached Tackaberry Heating of Brockville, who responded by donating a Heat Recovery Ventilator (HRV). A completely new ductwork system was donated from Trent Metals Supply of Ottawa, with all custom ductwork manufactured by Matt Cook of CSM Design of Shanly. Budget Propane supplied and installed the gas piping and venting and full propane tanks at no charge. Tim Vander Meer of DT Home Energy of Kemptville donated his services of an ECO-Energy Assessment. 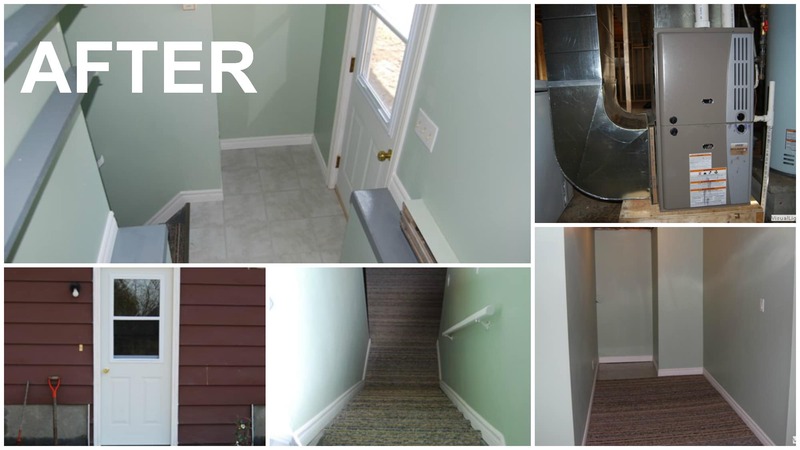 This assessment opened the door to the ECO-Energy grants available to homeowners for making their homes more energy efficient. Steve and Kurtis Merkley of Merkley Energy Solutions of Iroquois will be supplying and installing spray foam insulation, which will not only make the Oxford Mills family’s basement more comfortable but also address some of the minor water infiltration issues. All the electrical work will be completed by Bob Hildenbrand and the staff of Macton Electrical of Kemptville, including all of the fixtures and a complete re-wiring of the basement. Scott Dunlop and Darren Vander Meer of D & V Custom Carpentry of Kemptville, Steve Dubriel of Handyman M.D. of Kemptville and Wendel Froom of Prescott came through in a pinch when asked if they would be able to lend their services to frame in the basement walls, storage area and mechanical room. Dave Thorne and Scott Hay of Dave’s Drywall from Kemptville and Cory Roy of Kemptville are kindly lending their expertise in drywalling. They are hanging, taping, mudding and sanding the entire basement for the family. The water issue is being tackled by a number of volunteers, including Randy Morey of Kollaard Associates, Neil Eal of First Stop Rentals of Kemptville and Noble Trade Plumbing Wholesale of Brockville. Eric Norenberg and Chris Sargeant of Kemptville Building Centre have donated all of the building materials required, including lumber, drywall, paint, trim, doors and more. They have also ensured that deliveries were timely, which has helped to keep the project running smoothly and ahead of schedule. Work started on March 4, the day after a scheduling meeting at Charliewoods in Kemptville where finger foods were donated by Frank Papineau and his staff. Most contractors were on hand, ready to commit to days. “It’s important that we don’t disrupt the family too much,” said Sauve, who organized and chaired the meeting. “It is important we finish in a timely manner,” he added, stressing the project deadline of March 27. Other businesses generously lending their support include: DBL Container Services for construction waste clean-up, Portable On Demand Storage (PODS) for storage of the family’s belongings from the basement, Valley Sanitation for a site porta-potty, D & D Promotions for t-shirts. The municipality of North Grenville helped out wherever they could. Ron and Robert Noseworthy of Westerra Homes of Kemptville and staff have lent their expertise behind the scenes, helping with planning and scheduling. They have also given their support to the project by offering a monetary donation should the project incur any costs. 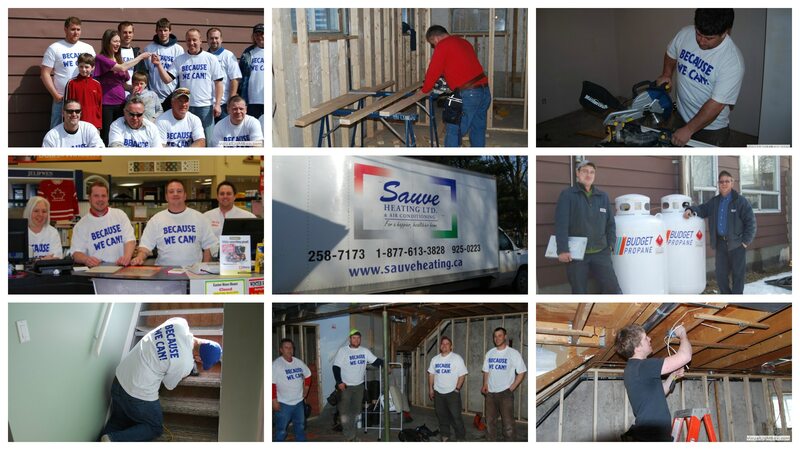 When asked why Sauve Heating and Air Conditioning wanted to tackle this ambitious project, Don and Ben both said “Because We Can” – the mantra for the entire project. We are a family owned and operated company that provides the Kemptville, Prescott, and surrounding areas with quality, professional, reliable service. We believe in equipment that’s built to last, knowledge you can trust, and doing things right the first time. Let us help create your happier, healthier home. Copyright 2018 Sauve Heating & Air Conditioning Ltd.